Requests to parliament to lift their immunity from prosecution are almost ready. 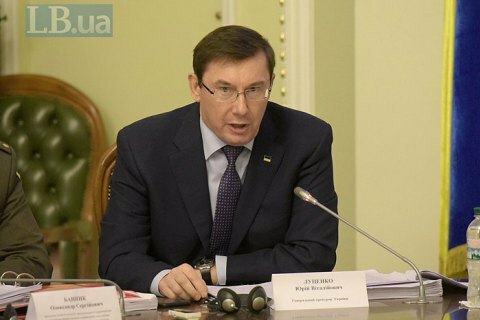 Prosecutor-General Yuriy Lutsenko has said he has enough materials to ask parliament to lift immunity from prosecution with regard to five MPs, but "the legal department of the Prosecutor-General's Office must give its conclusions and maybe make some technical changes to the text". He said this at a briefing in Dnipropetrovsk Region, according to Radio Liberty. "There are five files on my table, including from the Special Anticorruption Prosecutor's Office, to lift immunity from prosecution with regard to a number of MPs. Information that these documents are ready is 90% true," Lutsenko said. Lutsenko did not name the MPs in question. Nadiya Savchenko was the last MP who was stripped of immunity from prosecution because of suspicion that she was plotting terrorist acts in Kyiv.